Who is on a power trip these days? 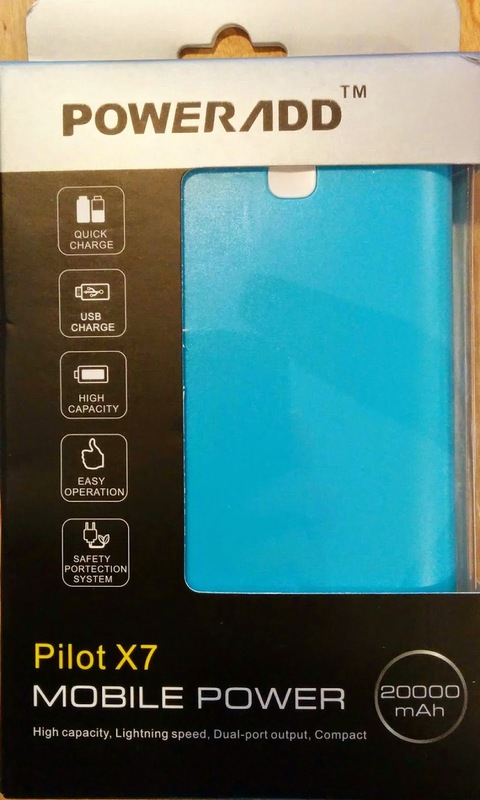 I know my Nexus 7 and my Nexus 5 are big time ever since purchasing the Poweradd™ Pilot X7 20000mAh Portable Charger/External Battery . This is a powerful external charger with a whopping 20,000mAh of juice. As a result of the power, at 15.6 ounces, the device is a bit on the heavy side, but that is small price to pay for such a level of power security to have in your bag. Charging the device from less than 25% power took some time - about 13 hours. But that gave me enough power to charge both my Nexus 7 and my Nexus 5 simultaneously 2 times, so essentially I was able to get 4 full charges out of approximately 75% of the devices full capacity. Charging speed on my Nexii - is that plural for Nexus? - varied from about 1 minute 54 seconds per 1% change on my Nexus 5 by itself all the way up to 5 minutes 48 seonds per 1% change while charging both the Nexus 5 and Nexus 7 simultaneously using the dual charging ports. While using the device you experience the same percentages/lighting combinations except they won't be blinking. In addition to the status lights while in use, there is a status button that will light up the lights based on the current charge level. 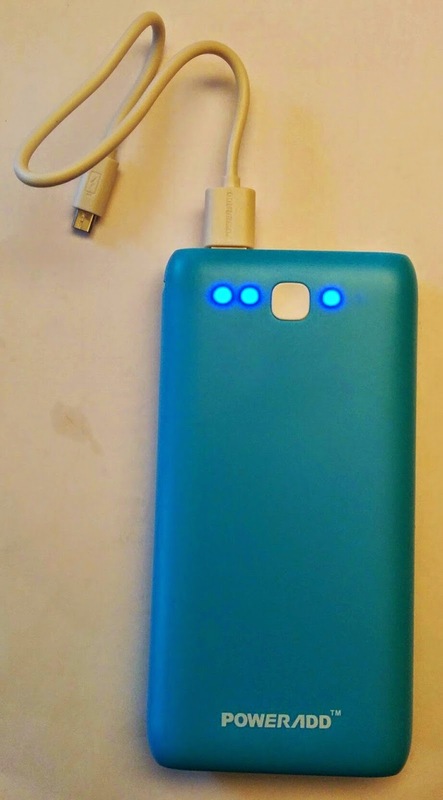 An added perk of this device is that there is a bright flashlight in between the two charging ports that is activated by holding the status button down until it turns on. Turning off the flashlight is accomplished by holding the status button down until the light turns off. It should be noted that this device only comes with a short micro USB cable and no charging block. It is, however, compatible with the charging blocks that come with your device, whether Android or iOs. I did not test the re-charging of the X7 with a laptop or Chromebook as the charging output would have been way too slow for a device with this much juice.